It’s the pain of occupying an inferior position relative to another and a desire for what that other person has. Envy can also motivate us to try harder and perform better on challenging tasks. The trick is to learn to channel the more productive of its two forms. Aristotle. He described its dark, destructive side and the pleasure a person can take in another’s pain, today captured by the German term schadenfreude. He also suggested that envy could encourage people to strive harder to reach a desired state—a facet that was long overlooked in empirical investigations of envy. Social psychologist Niels van de Ven of Tilburg University in the Netherlands and his colleagues compared how people from their home country and those from the U.S. and Spain expressed intense feelings of envy in their respective languages. that the envied person deserved good fortune and to express a desire to make up the difference through their own efforts. EEG data reveal how tightly connected the frontal cortex (red) is to the rest of the brain in depression (left) and health (right). Like an overwhelmed traffic cop, the depressed brain may transmit signals among regions in a dysfunctional way. Recent brain-imaging studies suggest that areas of the brain involved in mood, concentration and conscious thought are hyperconnected, which scientists believe could lead to the problems with focus, anxiety and memory frequently seen in depression. The objective of this study was to evaluate the changes in electroencephalographic (EEG) power spectrum in response to decapitation of anaesthetized rats, in order to assess the nociception or otherwise of this procedure. Ten young adult male Sprague-Dawley rats were anaesthetized with halothane in oxygen and anaesthesia was maintained at a stable concentration of halothane between 1.20% and 1.25%. The rat’s head and neck were placed through the opening of a small animal guillotine so that the blade of the guillotine was positioned over the atlanto-occipital joint of the rat’s neck. The EEG was recorded in a five-electrode montage, bilaterally. After recording a 15 min baseline the rat was decapitated by swiftly pressing the guillotine blade and the EEG recording was continued until the signal was isoelectric on both channels. Changes in the median frequency (F50), 95% spectral edge frequency (F95) and total power of the EEG (Ptot) were used to investigate the effects of decapitation. During the first 15 s following decapitation, there were significant increases in the F50 and F95, and a decrease in the Ptot compared with baseline values. There was a clear window of time immediately following decapitation where changes in the EEG frequency spectrum were obvious; these changes in the EEG indices of nociception could be attributed as responses generated by the rat’s cerebral cortex following decapitation. On the one hand we are a non-tolerant society towards pain but then at the same time we are pain consumers. 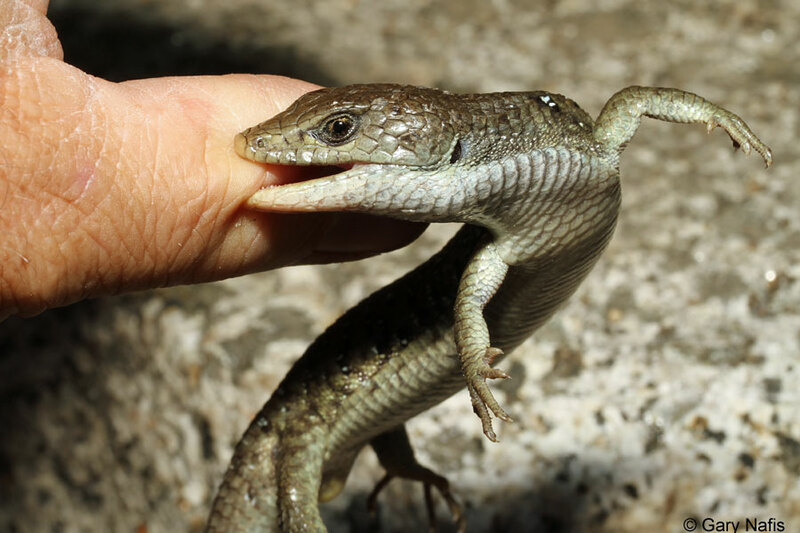 The powerful jaws of this lizard allow it to bite hard and hold on. Human skin is rarely broken, just pinched hard. Fergus J. Cameron, et al. OBJECTIVE To investigate the impact of new-onset diabetic ketoacidosis (DKA) during childhood on brain morphology and function. RESULTS Thirty-six DKA and 59 non-DKA patients were recruited between 2004 and 2009. With DKA, cerebral white matter showed the greatest alterations with increased total white matter volume and higher mean diffusivity in the frontal, temporal, and parietal white matter. Total white matter volume decreased over the first 6 months. For gray matter in DKA patients, total volume was lower at baseline and increased over 6 months. Lower levels of N-acetylaspartate were noted at baseline in the frontal gray matter and basal ganglia. Mental state scores were lower at baseline and at 5 days. Of note, although changes in total and regional brain volumes over the first 5 days resolved, they were associated with poorer delayed memory recall and poorer sustained and divided attention at 6 months. Age at time of presentation and pH level were predictors of neuroimaging and functional outcomes. CONCLUSIONS DKA at type 1 diabetes diagnosis results in morphologic and functional brain changes. These changes are associated with adverse neurocognitive outcomes in the medium term.